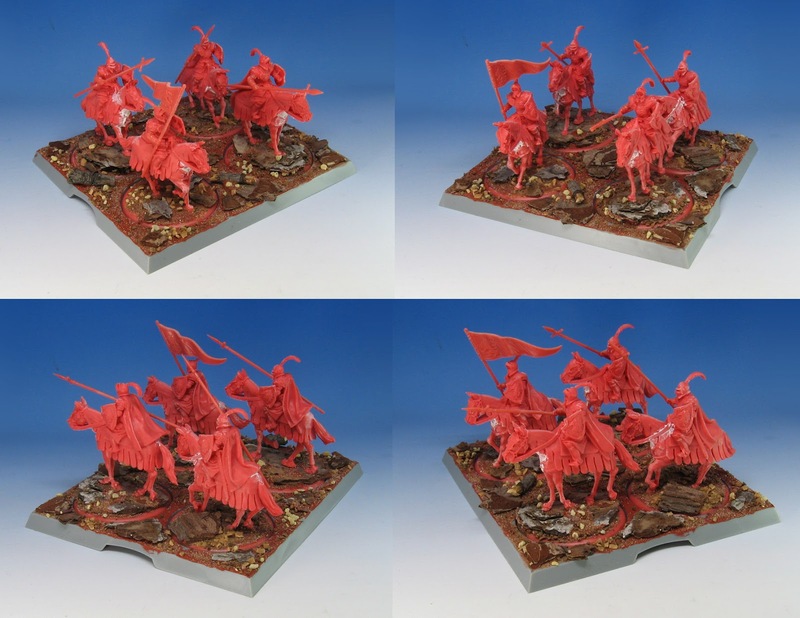 While I have enjoyed all the figures in the Song of Ice and Fire game, the cavalry units in particular really appeal to me . 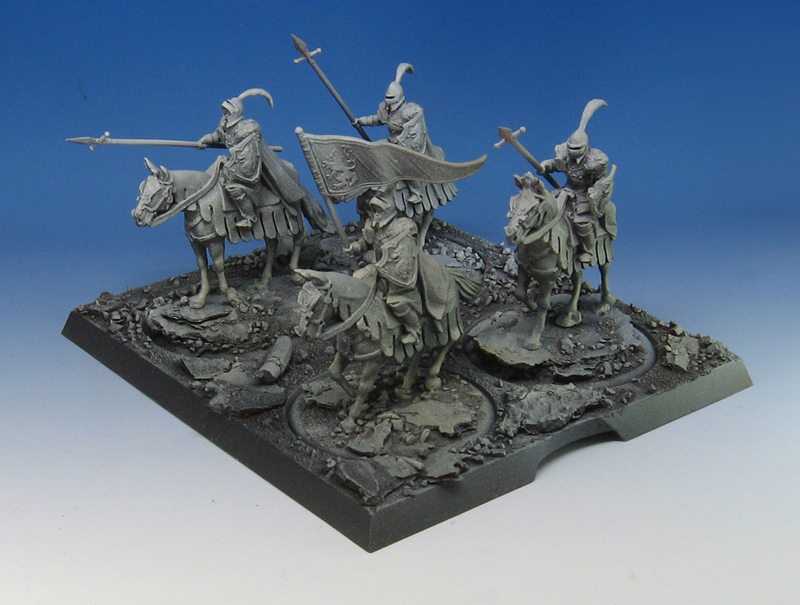 I love cavalry forces, as you can probably tell by my Lord of the Rings armies! 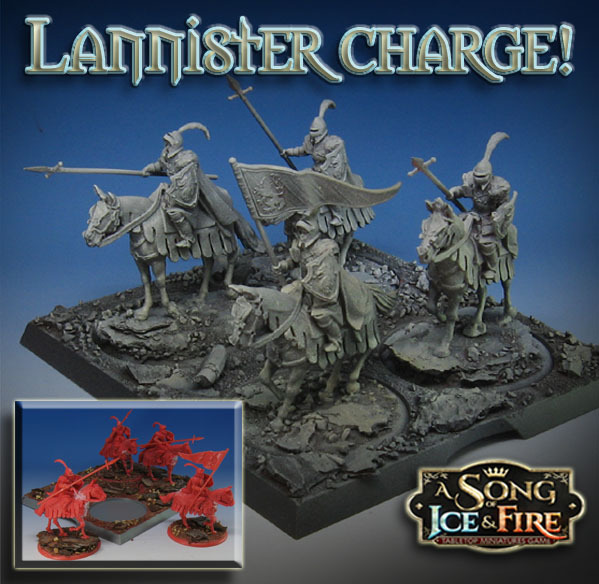 The Lannister cavalry is particularly ornate, and I have some very fun plans for the painting on these. 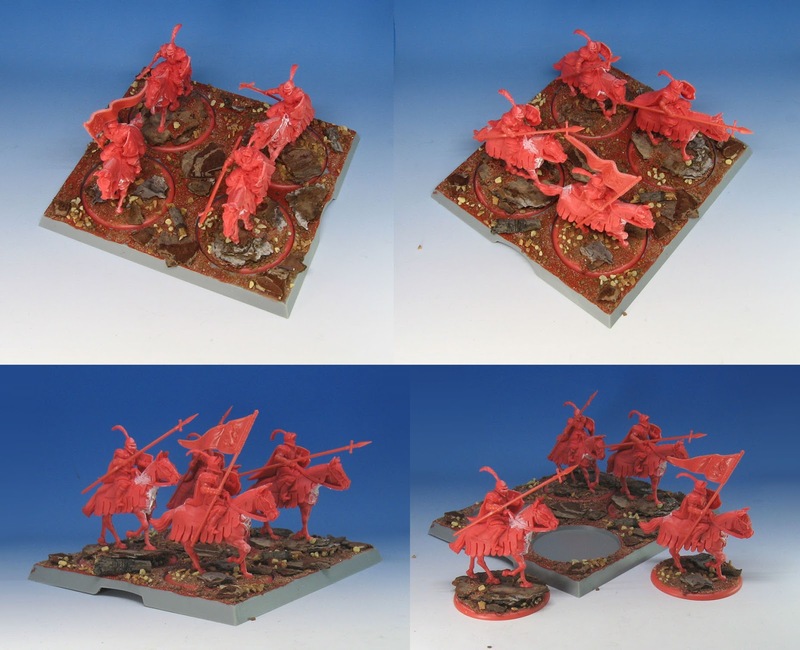 Of course, it all starts with basing, and I went through the same process on this movement tray as I did with previous units. After a few rounds of Badger Stynlrez primer, they are all set for painting!! 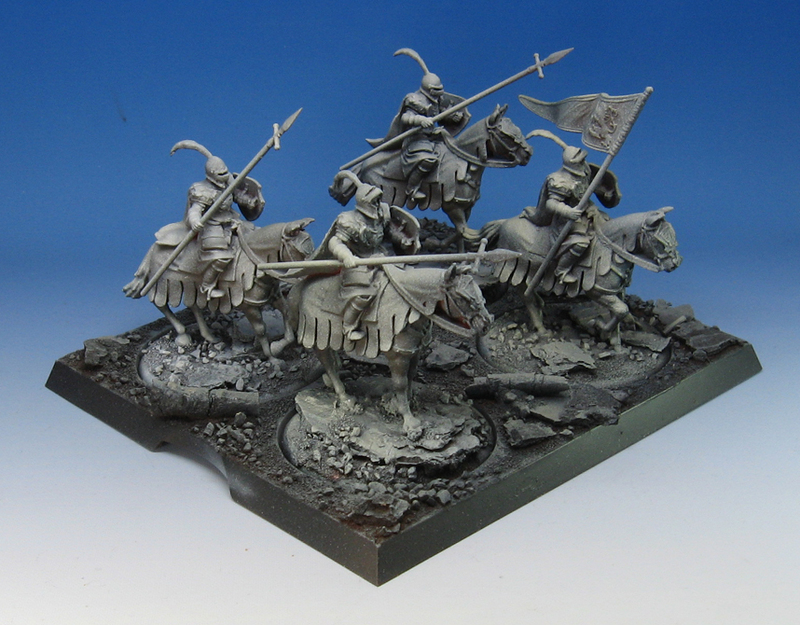 I will be making some tutorial videos for the Lannister cavalry as well, since there's going to be a lot of dramatic freehand on the barding, blankets and cloaks.